Now Online. You Can Buy It Easily . No Need Looking Shopping Mall. It Is Now Close On Hand. 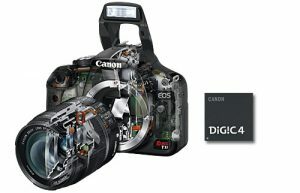 You Can By Your Desire Digital Camera In Our Big Digital SLR Collection. The EOS 600D is powered by an 18-megapixel high image quality CMOS sensor and the powerful DIGIC 4 image processor. Features like Scene Intelligent Auto, Basic+ and Feature Guide make it simple to achieve full control over creative functions. The advanced Creative are integrated into the EOS 600D, as well as Full HD video recording and Video Snapshot. 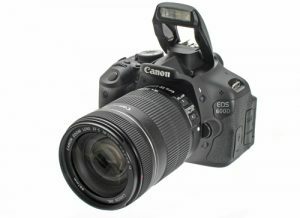 With 18 mega pixels, Canon 600D, the TIPA and EISA award winner DSLR, is said to be the most recommended entry-level DSLR, if you are beginner. It uses DIGIC 4 image processor of 14 bit, which gives you speedy process of the images. It also comes with ISO speed of 100-6400, further expandable up to 12800, which allows you to shoot in extremely dim light conditions either. For the moments worth more than an image, this DSLR, with beginner friendly features, records full HD quality video. Canon EOS 600D is compatible with the entire range of EF mount lenses and EF-S mount lenses and comes with Five year Brand Bazaar warranty in Bangladesh. The processing speed of the images clicked counts to be a paramount aspect in any camera. 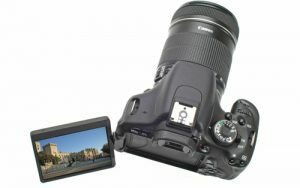 Canon 600D uses a 14-bit DIGIC 4 image processor that not only makes the image processing speedy but it also takes care of the true colour tome in the images. Moreover, apart from reducing the noise significantly, it also adds to the quality aspect of your images. 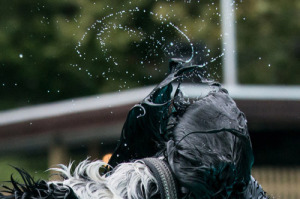 Have you ever tried clicking the water drops? It might seem impossible to you. But guess what! The beauty of rain drops, as it appears to our eyes naturally, can actually be captured with the help of a good shutter speed. 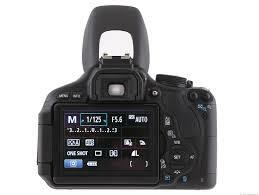 Canon 600D consists of the focal-plane shutter of 3-1/4000sec, which is electronically controlled. Thus, this entry level DSLR by Canon enables you to capture the beauty of anything moving fast which only our eyes can see, in many cases even our eyes cannot see it. For exceptional recording and playback of images, the EOS 600D employs a crisp 3-inch wide Vari-Angle Clear View LCD monitor that contains over a million dots. The nifty Vari-Angle screen is also a welcome addition for curious shutterbugs looking to discover fresh framing perspectives, as the specially designed hinge allows it to be swivelled in almost any angle. 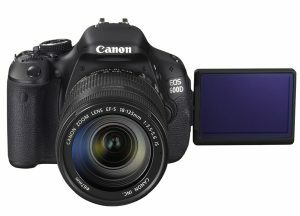 Model – Canon EOS 600D, Resolution – 18.0 Mega Pixel, Lens Mount – EF/EF-S 18-55mm, Sensor Type – CMOS Sensor Type, Display – 3″ LCD Display, Playback zoom – 1.5x – 10x, View Finder Type – Pentamiror, Real view: yes, Front Display – No, Shutter Speed – 30-1/4000 Sec., Face Detection – Yes, Red-Eye Reduction – Yes, Image – Res. 5184×3456, Video – Res. 1920×1080, Memory Type – SD, SDHC, SDXC, USB – USB 2.0 Interface, Battery – Li-ion Battery, Dimensions – 133.1 x 99.5 x 79.7 mm, Weight – 570 gm.